Annie Bowers has been passionate about horses all her life. She was born and raised on a cattle ranch in Nevada, attended Colorado State University, where she studied Equine Sciences. She has trained reining horses, endurance horses, race horses, cutters, Appaloosas, Arabians, QH, TB, Andalusians, draft horses, Trakaners, Oldenburgs, Friesians, Halflingers and many, many more. She has studied under Pricilla Hoback and Linda Tellington-Jones learning the team ttouch, and Sally Swift Centered Riding. 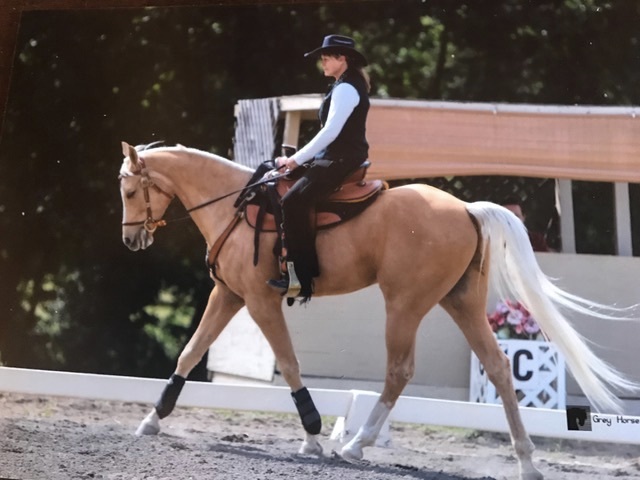 After specializing in starting young horses and fixing problems, her direction has shifted in the last few years to studying dressage, showing and giving lessons. Annie’s focus has always been on the relationship of horse and rider — understanding why the horse does what he does and how to communicate what the rider wants so the results are a relaxed, happy, harmonious team. Western Dressage has provided a platform to test this philosophy and a structure to grow in. Western Dressage’s focus on harmony with relaxation fits well with Annie’s goals. She performed demonstrations at 2016 WDAA Train the Trainers™ clinic in Rancho Murieta, CA, and looks forward to helping riders and horses everywhere achieve their goals.